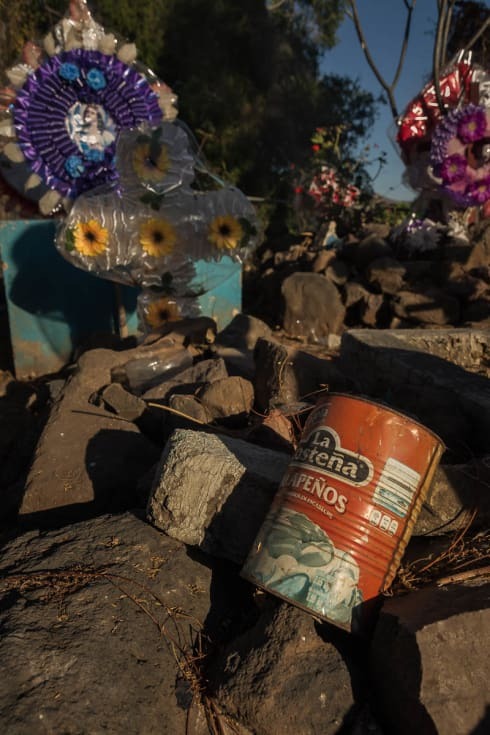 La Costeña is a famous Mexican canned food brand name, popular enough that you can find a can in any supermarket in the United States. 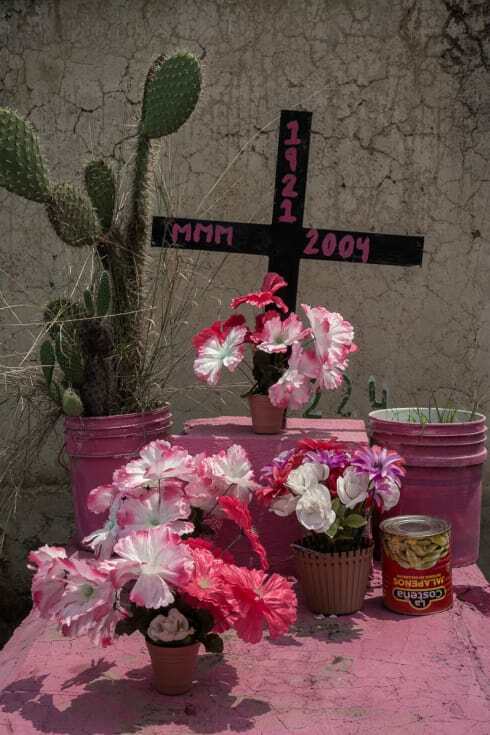 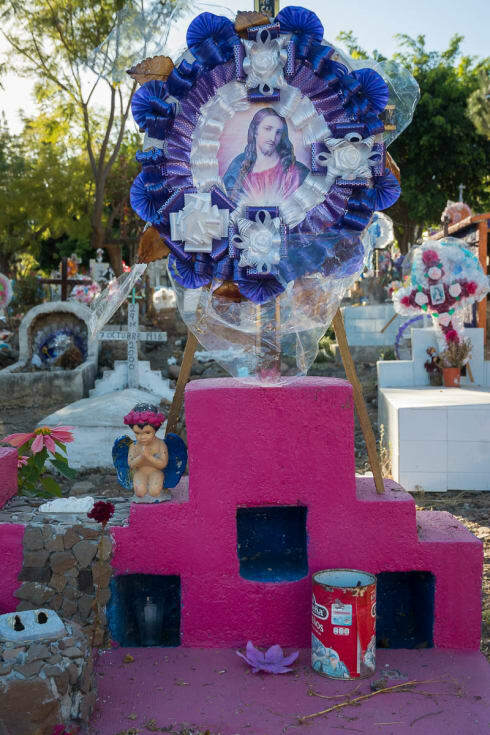 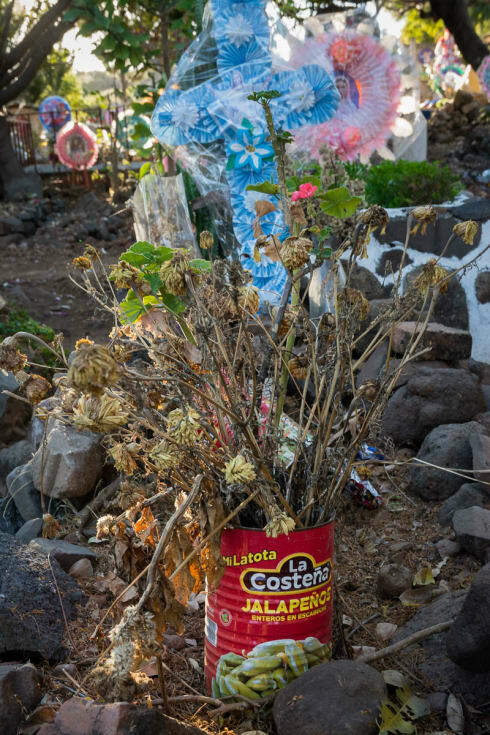 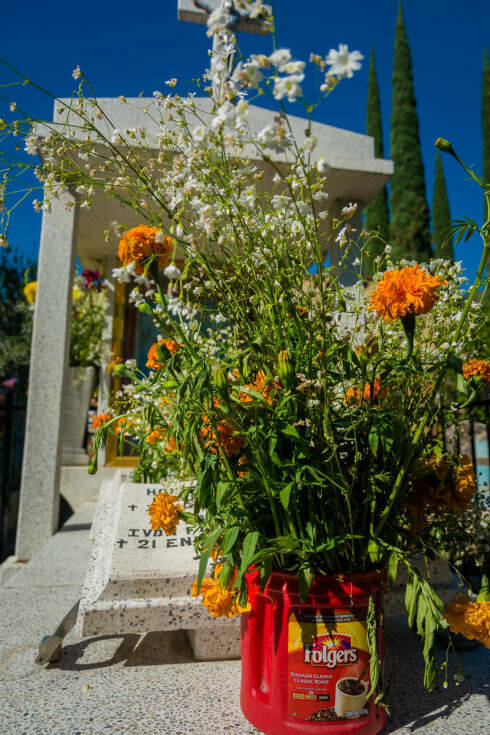 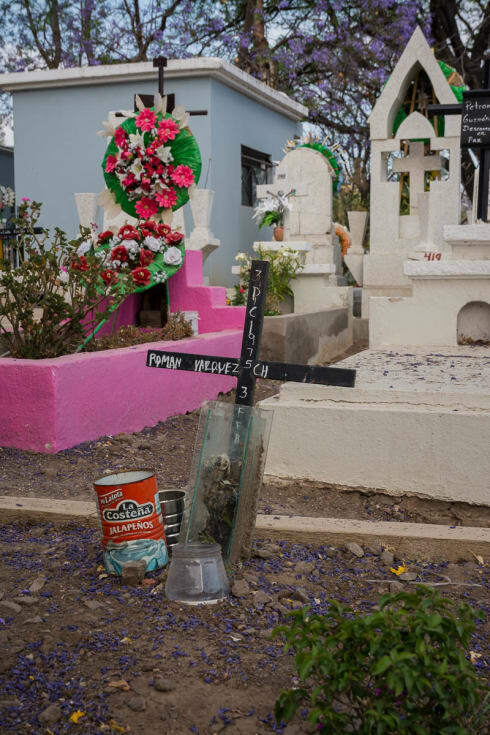 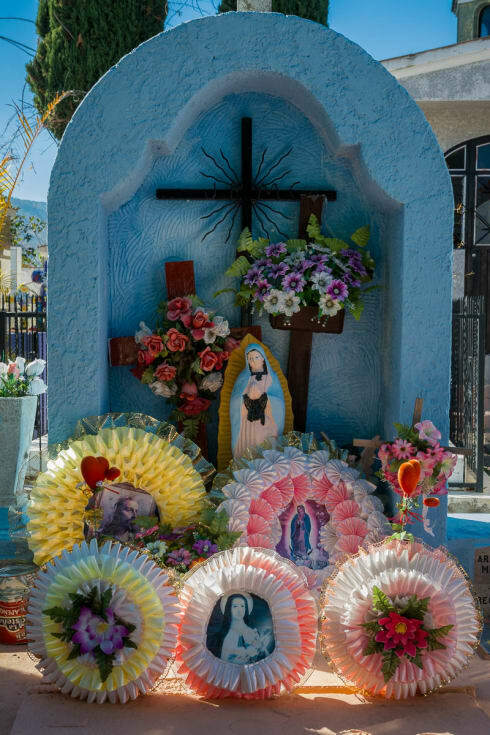 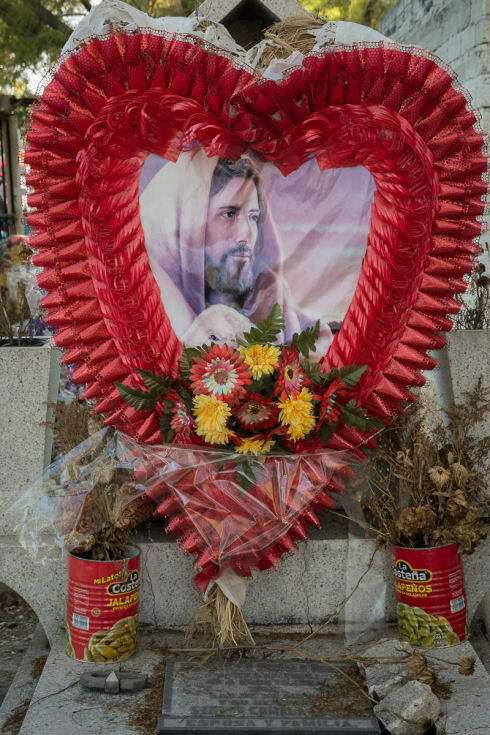 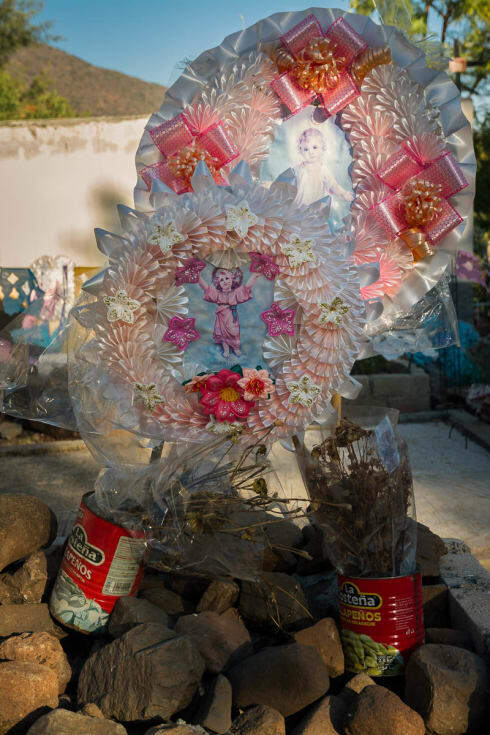 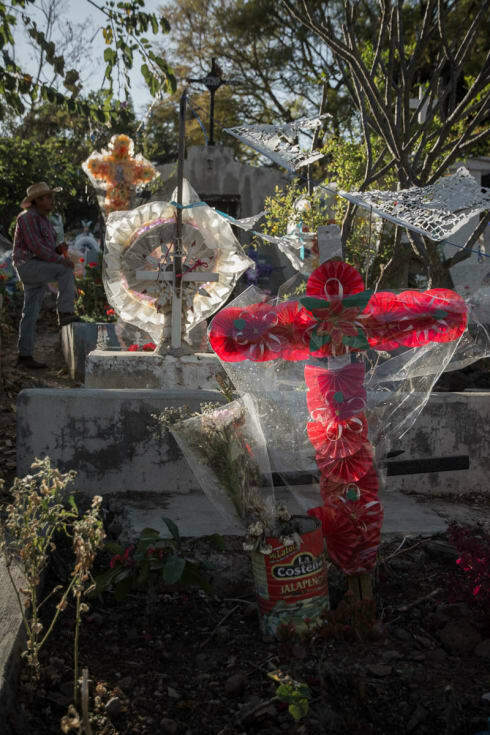 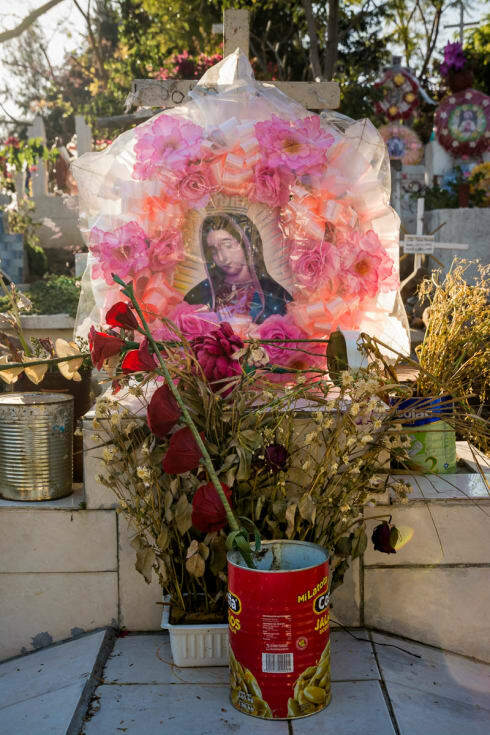 You can also find empty cans of it, serving as flower vases, in graveyards throughout Mexico. 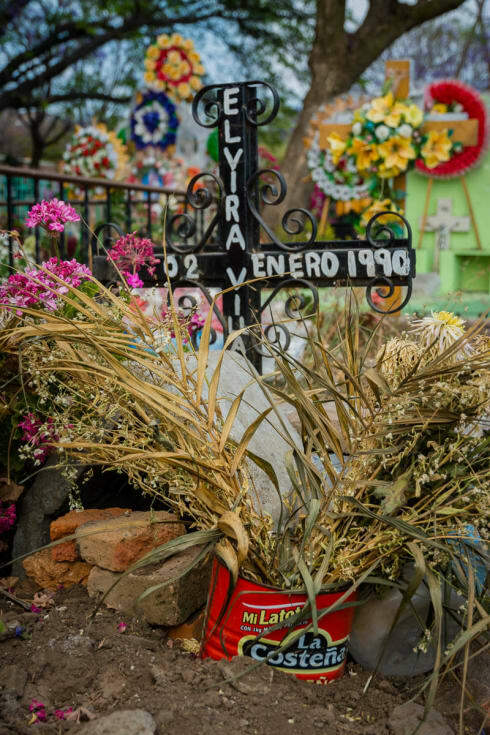 A man takes a moment to rest while watering the plants in the graveyard in Mezcala, Jalisco. 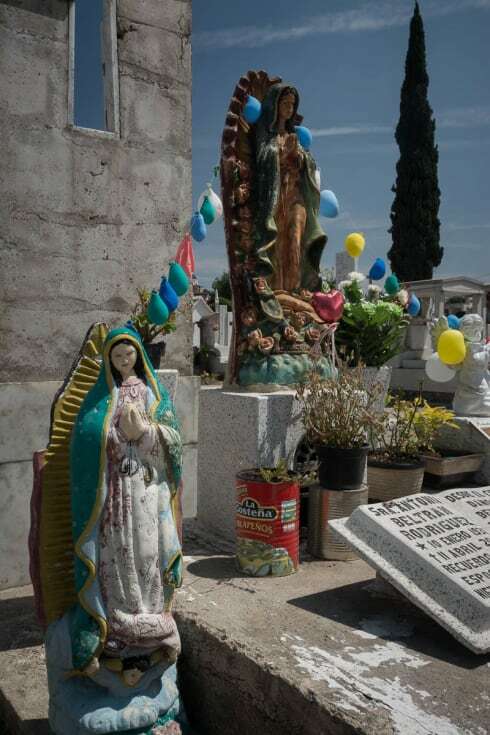 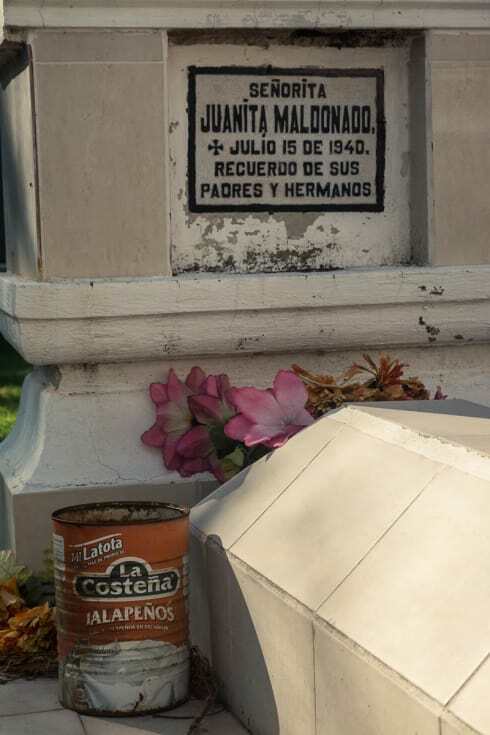 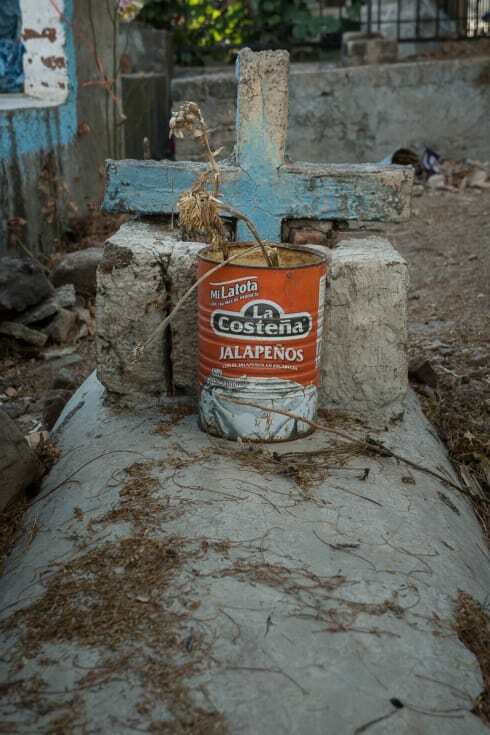 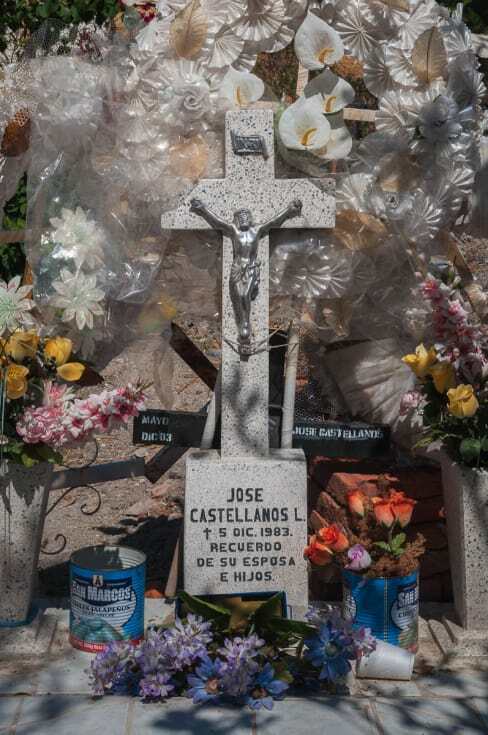 A can of La Costeña brand jalapeños on a grave in Mezcala, Jalisco. 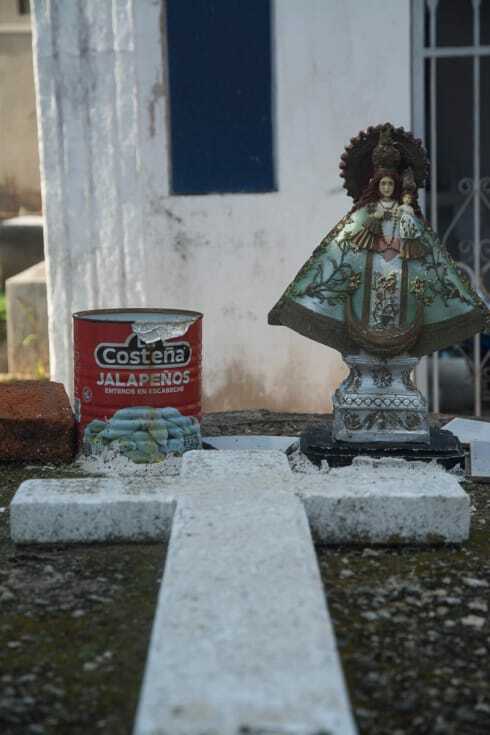 San Marcos brand jalapeños cans on a grave in San Juan Tecomatlán. 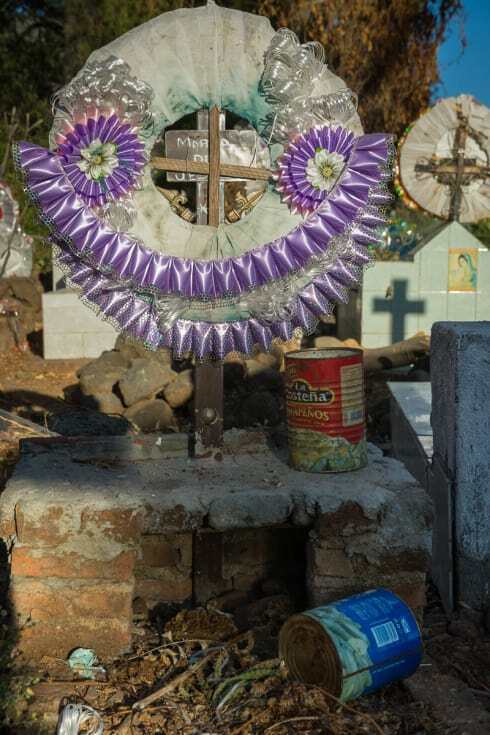 A Folger’s coffee container becomes a vase for marigold flowers on the Day of the Dead in Ajijic, Jalisco.